Sean Rafferty was born in Belfast and brought up in Newcastle, Co Down. He studied law at Queen's University, Belfast and soon after began his career in broadcasting. Sean is a respected arts broadcaster, having presented a variety of radio and television programmes. He devised and presented Rafferty, one of the first radio chat shows for Radio Northern Ireland. He presented the early evening television news on BBC Northern Ireland for several years and launched a news and current affairs programme on Radio Ulster, Evening Extra. Sean is the co-presenter with Denise Waterman of the BBC Northern Ireland series Room for Improvement, a 15-part series about DIY and houses, filmed in Ireland and England, and which was broadcast on network daytime television in the summer of 1997 and re-commissioned by BBC 1 in 1998. Sean is a keen amateur musician and regularly sang in a renaissance chamber choir. He is chairman of Opera Theatre Company, Dublin, which has toured all over Ireland and recently had great success with its production of Handel's Amadigi in New York, Paris, Prague and Portugal. He is a former board member of Opera Northern Ireland and of Artscare (the organisation for promoting art in hospitals) and is a board member of ABSA, the Association for Business Sponsorship of the Arts. Sean Rafferty presents In Tune on BBC Radio 3 - every weekday at 4.30pm. This is Radio 3’s flagship early evening music programme. It’s always live, and there are always a couple of guest spots where the artists play, and are interviewed by Sean. This is a slot that always generates a lot of interest among listeners, as Sean is a past master at putting artists at their ease with his relaxed style and infectious humour. From the rich and famous to the student quartet fresh from College, everyone is made to feel a star. Sean also regularly takes the show on the road and enjoys the encounter with live audiences. In 2002 In Tune visited the Edinburgh Festival and wowed the Festival regulars; also the London Jazz Festival and the Wexford Opera Festival gave a similar rapturous welcome. In Tune also visited Amsterdam for three programmes in Radio 3’s Dutch week. 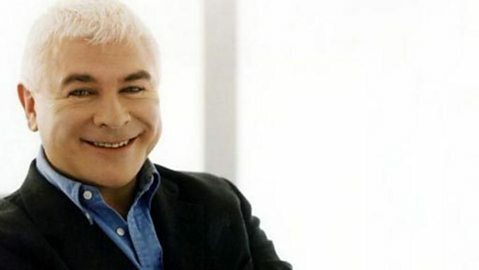 His broad cultural sympathies mean that Sean Rafferty has established himself as one of Radio 3’s most treasured assets. Meet Sean Rafferty, presenter of In Tune on Radio 3.